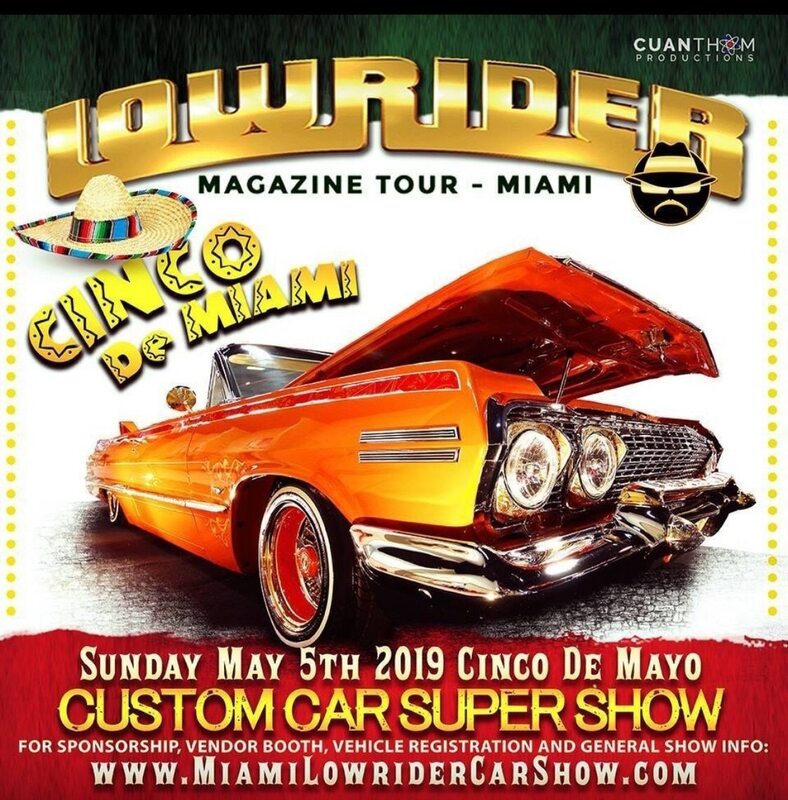 Sunday, May 5th, 2019: The Miami Lowrider Car Show makes its triumphant return to the Miami-Dade County Fair Expo Center. Spend Cinco De Mayo with some of the coolest cars, trucks, and bikes Florida has to offer. While you’re there don’t forget to check out the hydraulic competition, live musical performances, food trucks, and more! Interested in having your vehicle featured in the show? Register your vehicle here. Interested in becoming a vendor at the show? Register to be a vendor here. Interested in becoming a show sponsor? Click here for sponsorship information. Visiting from out of town and need a place to stay? Our hotel partners Comfort Suites Miami and Best Western Plus Kendall Hotel & Suites are offering special discounted rates. Contact Comfort Suites Miami at www.comfortsuitesmiami.com or call 305-220-3901. Contact Best Western Plus Kendall Hotel & Suites at www.bwkendall.com or call 305-271-4848. Mention “The Miami Lowrider Car Show” at either hotel for special Miami Lowrider Car Show rates. 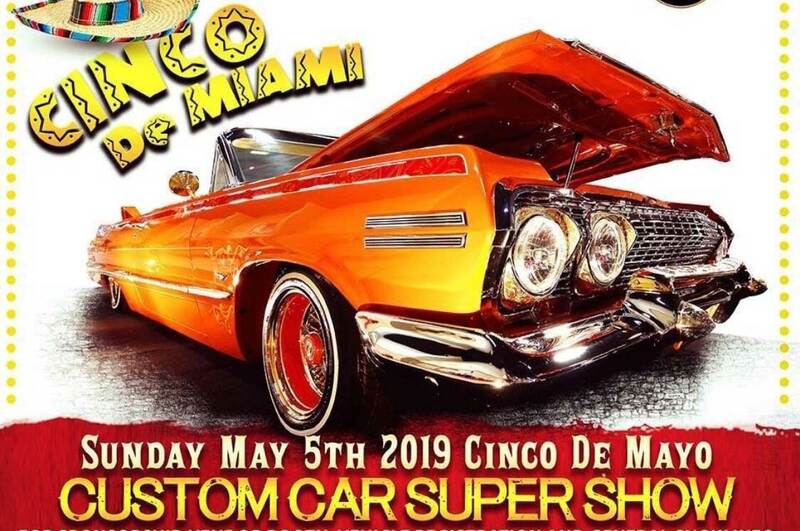 For more information on the 2019 Miami Lowrider Car Show please visit www.miamilowridercarshow.com. *Early bird adult tickets are $25.00 plus taxes and fees. Early bird children tickets are $20.00 plus taxes and fees. Ticket prices will go up.